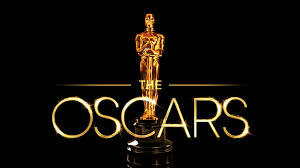 As you have already figured out, I love movies and the Academy Awards. 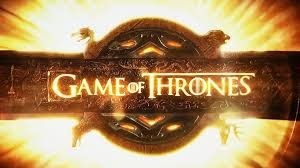 December through February is Super Bowl Season for movie lovers as the Academy Award Nominations are announced and the awards season gets under way. Over the years, my Academy Awards Party was a popular annual event with friends and family, so I thought I would share my tips for throwing a memorable party so you can join in the fun. Send out invitations, preferably movie-related. I know it's asking a lot to actually shop for some invitations, address envelopes and mail them. Failing that, email e-vites will work. 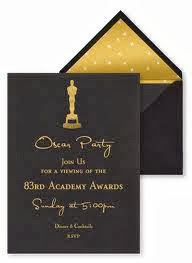 There are many Oscar-themed invites available online. If you send invitations via snail mail, include a ballot. If you send something electronically, include the ballot link. Make sure your guests know there will be prizes. Find a ballot that not only includes the movie nominees, but also the actual nominees e.g. In addition to the movies nominated for Best Achievement in Costume Design, I also want to know the name of the nominee e.g. when I see Sandy Powell, it helps because she has won before. For those of us who follow this stuff, over the years names become familiar and this is helpful when filling out the ballot. Make sure your guests bring their filled-out ballots with them to the party. You can do this on the honor system or once the guests arrive, create a board to list everyone's picks so everyone can see what everyone has chosen. Though it is not essential, but it's nice if you invite people who give a damn about movies. Ask that everyone come dressed in their Academy Awards Finery. Provide a red carpet (you don't have to have a red carpet but it would be fun) - it could be as simple as a runner of red felt - but dressing up is essential. Other Academy Awards decorations are also fun. Here are some ideas. Have TV's in more than one room so people can move around a bit without missing anything. Provide incentives which you have already announced in the invitation. 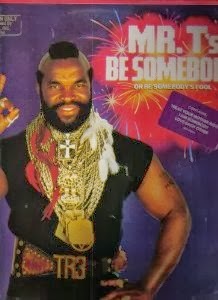 One year the booby prize at my party was Mr. T's (remember him?) album (yes, we are talking vinyl) "Be Somebody or Be Somebody's Fool." Preferably champagne and a non-alcoholic punch bowl. A finger food buffet works best as it's easy for your guests to help themselves and eat while watching the show, so you don't have to be serving people. Give the appetizers cool names related to the nominees. Popcorn is de rigeur. Or why not recreate the food from the very first Oscar show? Give everyone a "swag bag," just like the nominees. Perhaps add a mini Oscar or a champagne glass filled with chocolates. This year's bag is highlighted by cannabis chocolates (hey, it's legal here)! In other years, the swag bag has included maple syrup, dog food and vaginal rejuvenation, to name just a few items. Yes, you heard me. Air kiss and call everyone "dahling" when they arrive and leave. If you can't have a party: Whether or not we held a formal party, this was always a family affair. When the kids were at home, we dressed up, had fancy hors d'oeuvres (or pizza) and watched together. Now the kids are grown and one lives in another state, but we still have our Oscar competition and text and call each other during the show. I provide the ballots and we give the kids a deadline and then Hubby lists everyone's picks. We all put in $10 each and the winner takes all. 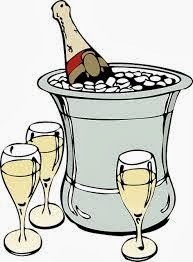 I plan to dress up, eat fancy food and drink champagne -- and to win! Do you have some tips to share from your killer Oscar Party? 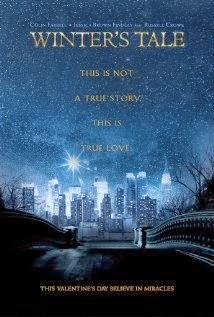 Some Movies You Might Have Missed! Based on the book of the same name, this screen adaptation stars Colin Farrell as a burglar in the early 1900's who falls in love with a dying girl and then finds himself transported to the present day, plagued by the forces of evil. It's one of those true love transcending time and space things not to mention all of the heaven and hell stuff. There's Russell Crowe as a demon, Will Smith as Lucifer, a flying white horse that I thought would start talking like Mr. Ed any minute, and Eva Marie Saint and Jennifer Connolly looking like they are wondering what the hell they are doing in this mess. And William Hurt? What was that all about? What the hell happened to your acting chops, Bill? In fact I found myself saying "What the hell?" a couple of times during the film. And what's with Colin's hair? Suspending disbelief isn't possible here. But it was nice to see Lady Sybil ("Downton Abbey") again. If you are a fan of the book, you will be disappointed. Rosy the Reviewer says...Pure schmaltz. Don't waste your money. If you must see it, wait for the DVD. You will thank me. The real life 1970s rivalry between Formula One rivals James Hunt and Niki Lauda. My father and brother were huge racing enthusiasts. Think back to when there were only three television channels and usually only one TV in the home. Our house anyway. So when the Indie 500 came on, that was what was on! I always hated Sundays, because after we came home from church nothing would be on except sports and it seemed mostly car racing. As a teen I drove "hot" cars around town, because my Dad and brother were always souping up the family car. I drove a Dodge 440 and Chrysler 300 all with dual 4-barrels, bored and stroked and with glass-pack mufflers. My Dad told me that if I was stopped by the cops because the car was too loud, to say my Dad was getting it fixed tomorrow! My brother and Dad raced the family cars in stock car races, not to mention the impromptu drag racing that occurred at night around town. In fact, on my way to my first year of college, with the car packed to the gills with my belongings and my mother in the front seat, my Dad drag raced a guy as we left town! So car racing is in my blood. And this film captured the excitement and ambience of this period in racing history. 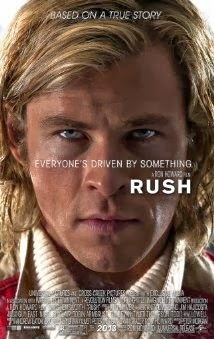 Director Ron Howard expertly wove real footage into his film to create the intensity of Formula One racing and produced one hell of a film with Hemsworth and Bruhl looking just like the real guys. Rosy the Reviewer says...this one could have been a "contenda!" But though it didn't garner an Academy Award nom, this is one of the best films of the year and a really good, exciting film, especially for racing enthusiasts. And ladies, if you are not interested in the racing, let me present one of the most gorgeous and exciting specimens of manhood out there, Mr. Chris Hemsworth. If he doesn't get your heart racing, I don't know what will! Enjoy! 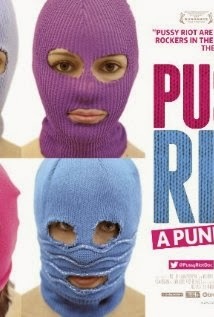 Controversial Russian performance art band protests against Putin and anti-feminist policies and gets two years in Siberia. This documentary begins with a Bertolt Brecht quote: "Art is not a mirror to reflect the world, but a hammer with which to shape it." And these young women are using the "hammer" of their courage and art to call attention to sexism and authoritarianism in Russia. They were beaten with sticks recently during their protest during the Olympics which made watching this film all the more real. It's a beautifully photographed film which is not seen in many documentaries. A young Saudi girl enters a Koran competition to win money for a bicycle. Women not only can't drive in Saudi Arabia; girls are not supposed to ride bikes. 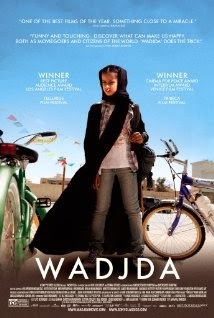 But young Wadjda is determined so she can race a boy. I still struggle with the treatment of women in so many Middle Eastern countries - what they can and cannot do, what they must wear. Speaking of which, watching this film, I was struck by the fact that the men wear white, the women must wear the black abaya. The color white often symbolizes good; black often symbolizes evil. Mmmmm. Teen life of the party Sutter lives for the now. He also has a problem with alcohol. 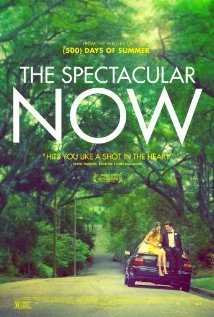 He meets Aimee, the nice girl, and they help each other turn "now" into their future. This is a study in reality. It's almost as if the actors are improvising, it's so real, which is not typical of most teen-oriented films. But that is also it's flaw. Miles Teller and Shailene Woodley, who shone in "The Descendants," are affecting as the young lovers, but the film is slow moving and predictable. However, if "Endless Love" had even a fraction of the heart in this film, it would have been a good film. Jennifer Jason Leigh has a small part as Sutter's mother and I didn't even recognize her. Rosy the Reviewer says...Honorable effort that just misses the mark. But see it for Woodley. When her "Divergent" movies come out, she could be the next Jennifer Lawrence. A young boy in working-class Northern England befriends a young kestrel hawk. This is in the top ten on the British Film Institute's list of the "Top Fifty Films You Should See by the Time You are 14" and it ranks 7th on their list of best films of all time. It's a touching bit of realism. As a caveat, it is not only a very British film, but it's set in Northern England, which means it can be difficult to understand the dialogue at time. That fact actually hurt distribution when it was first made. But it's worth it. 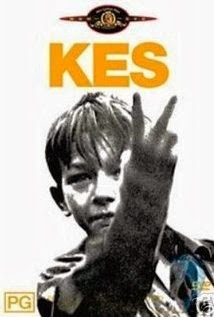 This is Ken Loach's first film and it won Best Film in Britain in 1970. He brought British films out of the "angry young man" phase and, using mostly unprofessional actors, into the realism of working class England. An inside look at the workings of the gossip mongers. 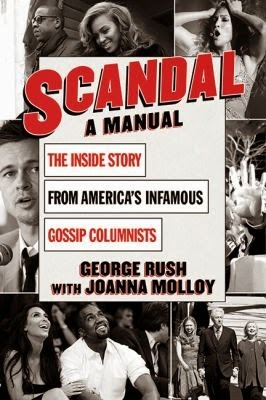 Authors Rush and Molloy, the only married gossip columnists, ran their column in the New York Daily News from 1995 to 2010, eventually quitting because they couldn't keep up with Twitter and bloggers who were getting the dirt on celebs before they were. It's only fitting that this is the book right before the Oscars! Rosy the Reviewer says...if you are hip to the gossip world, there probably isn't much in this book you don't already know, but if you are interested in the lengths people will go to get a scoop, you might enjoy this. 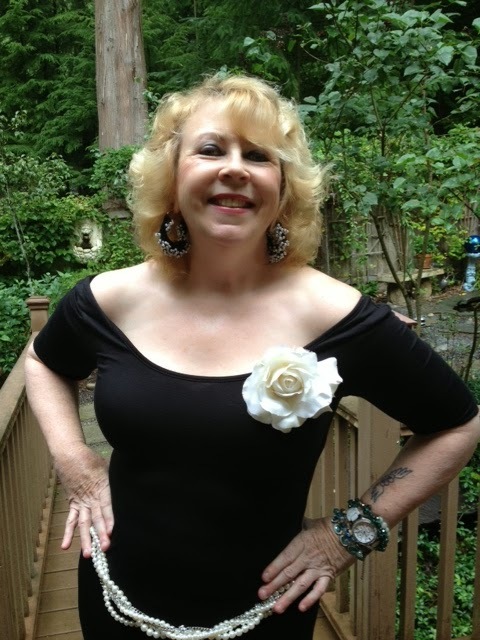 Hi Rosy, I can highly recommend Dallas Buyers Club and Captain Phillips, both excellent! I totally agree. Loved Captain Phillips particularly. I think the last ten minutes of the film where the doctor was asking him questions, totally clueless to what he had been through, and he was clearly in shock was one of the finest pieces of acting I have seen of late. Tom Hanks was totally screwed by not being nominated for that performance. I agree Rosy. He was excellent. In the extra materials on the DVD they were saying that that scene with the medics was totally unplanned and last-minute. It wouldn't have been half as good a film without it! Wow, I didn't know that. Thanks for the info, Caroline. Just shows what a good actor he is to throw something like that in.